Kimoyes item: 22249 - 5 pieces of lovely silk kimono fabrics. 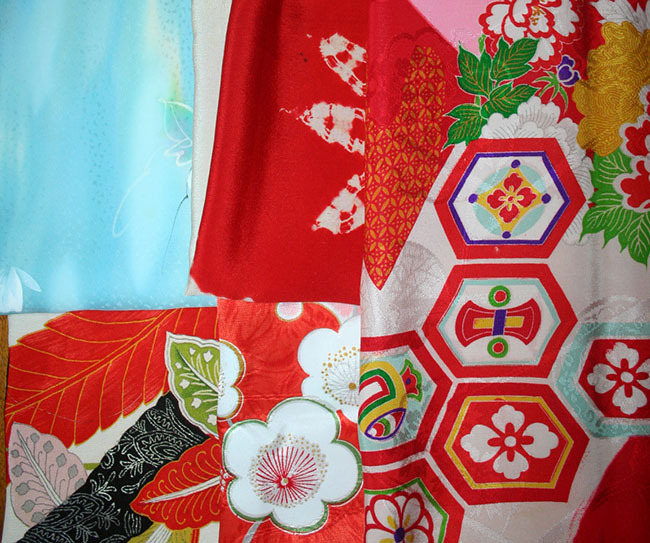 5 pieces of lovely silk kimono fabrics. Each piece is approximately 12 x 10 inches or equivalent.